3.5 stars. A very interesting perspective of mid-20th century homosexuality in Mississippi that mixes academic history with oral history/interviews. Sometimes on the subjective side and focuses almost solely on homosexual males (or at least males who engage in "homosex" but do not identify as homosexual). Well-arranged (if you read the intro, he explains how the book is laid out), mostly easy to read, but can be repetitive. This was a good book. Howard's structure changes throughout which takes a little getting used to. It can be dry in places, but I found it an interesting depiction of gay live in southern rural cities. I think the most interesting take away was his discussion of how gay men and women weren't persecuted harshly in these communities until the started to align themselves with the civil rights movement. This book looks at Mississippi from 1945-1985. It ends right when HIV/AIDS enters the picture. 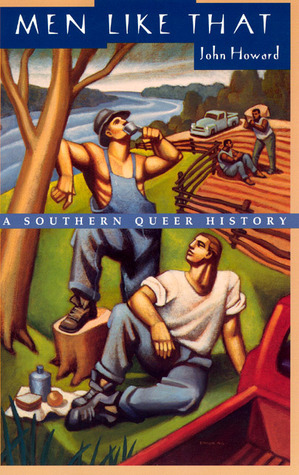 John Howard - Dr. John Howard is professor in and head of the Department of American Studies at King’s College London and the author of Men Like That: A Southern Queer History.Dr Howard is interested in the historical production of human differences and their attendant inequalities. His work also assesses differences as productive mechanisms of affiliation, identity, coalition, and struggle. Informed by queer, feminist, materialist, critical race, and spatial theory, and his research and teaching engages primarily with the categories now known as sexuality, gender, class, race, and region.His work has received awards and commendations from the American Sociological Association, American Studies Association, Arts and Humanities Research Council, British Academy, Delfina Studio Trust, Fulbright Commission, Rockefeller Foundation, and King’s College London Students’ Union, among others.